Fan Choy a.k.a. steamed rice or 饭菜 in Chinese is one of my favourite breakfast. Usually, you can find it at the stalls selling steamed items like Siu Mai, Cheong Fun. Nowadays, you can also pick up the chilled one from NTUC supermarket and heat it before serving. Notwithstanding, it is not as savoury as those freshly made and steamy hot ones. But, those selling outside are always so small and for some, their rice are either too soggy or too hard. In fact, it is an easy dish to make and you can make it more healthy and tasty at home. Of course, plus a bigger serving and your choice ingredients as well. It is like a one-bowl dish whereby you have everything in a bowl. 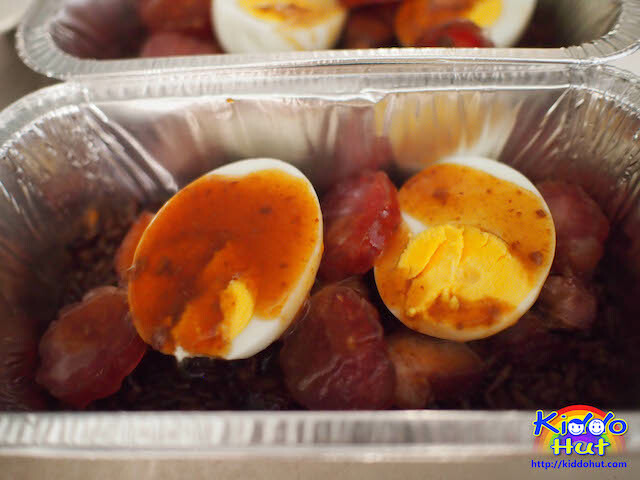 The ingredients are mainly rice, BBQ pork (char siu) and egg. But, I added Chinese sausage (Lap Cheong) and vegetable as well for the greedy me. You can add in Chinese mushroom if you like. 1. Mix all the seasoning for rice together. 2. Wash and drain the rice. Add in the seasoning mix then put the bundled pandan leaves on top. Cook rice as usual, but reduce the water by 100ml. 3. Once the rice is cooked, off heat, remove the pandan leaves and fluff the rice then let it cool. 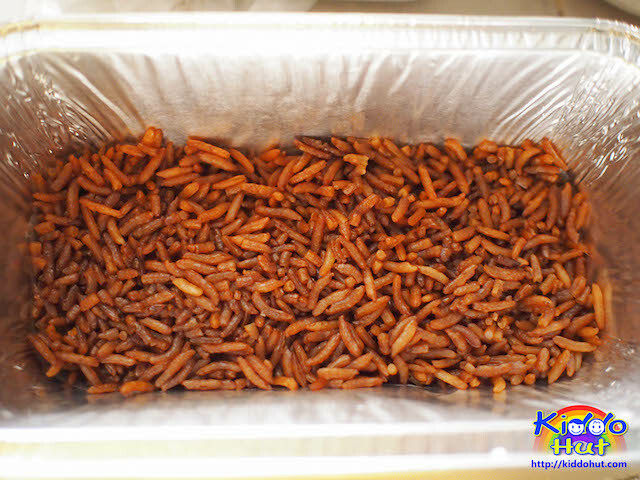 Do not leave the cooked rice under keep warm for too long as we do not want the rice to be too soft. 1. 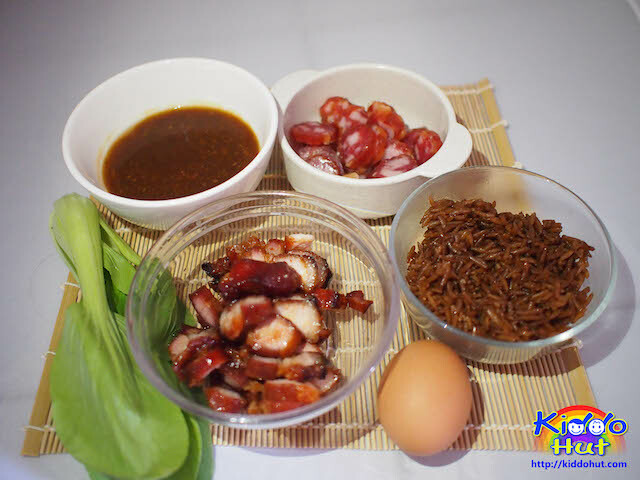 While the rice is being cooked, distribute the Char Siu, Chinese sausages and egg (facing down). Then spoon in 3 tbsp of Char Siu sauce over the ingredients. The picture is illustrating the other side, assuming this is facing the bottom of the container. 2. 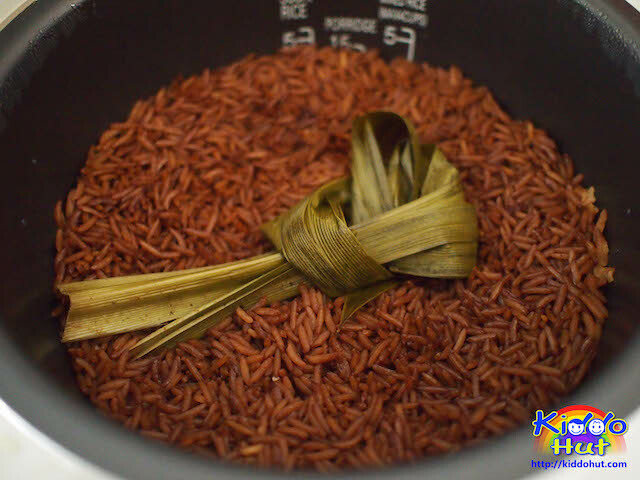 When the rice is cooked, fluffed and cooled, put it on top of the ingredients in the bowl and press the rice down to make it more compact. 3. 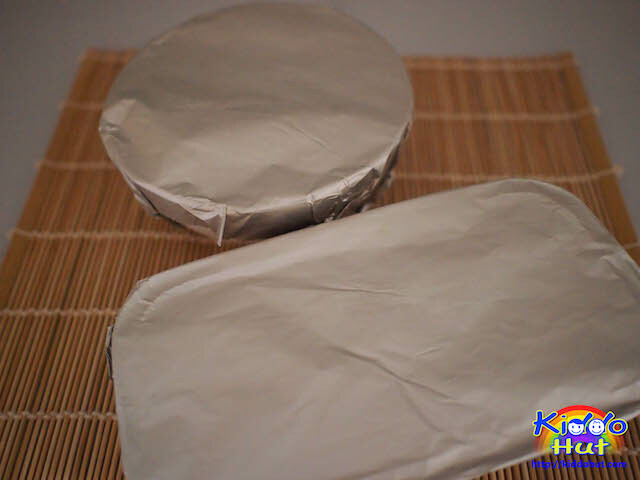 Cover the bowl/container with an aluminium foil. 1. Steam it over medium heat for 10-15 minutes. 2. While the Fan Choy is being steamed, you can steam or boil the vegetable. I prefer to steam it. When the fan choy is steamed for approximately 8 minutes, I put in the plate of vegetable to steam for 5 minutes. 3. Serve it hot or warm. Note: If you are keeping the Fan Choy to next day consumption, do not steam it first. Keep it in air-tight container in the fridge. To serve, just steam it as per method. You can keep the Fan Choy for 2-3 days but I would recommend to finish it within 2 days.